Around 1.484 tones of plastic ends up in the Baltic sea yearly from St. Petersburg and the surroundings (7 million people). A serious part of this waste – small Plastic particles – accumulates in water and behaves like a “magnet”. It absorbs pollutants and transfers them up the food chain. Marine animals can take plastic as food which could be fatal for them. Plastic particles could be found in the tap water, sea salt and seafood. The “More Baltic Less Plastic” project is aimed to lessen plastic pollution in the marine environment. 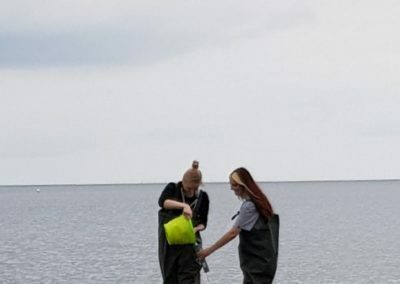 The project address current knowledge/awareness gaps related to the whole chain of plastic inputs to the Baltic Sea, advocating source reduction, quantifying the pathways, as well as promoting cost-efficient end-of-pipe solutions to abate pollution. Upstream management actions consist of continuing public awareness campaign, middle-stream management focuses on using citizen science for public monitoring of plastic inputs. Saint-Petersburg and Leningrad region are part of the Baltic Sea catchment area with total population over 7 million people. 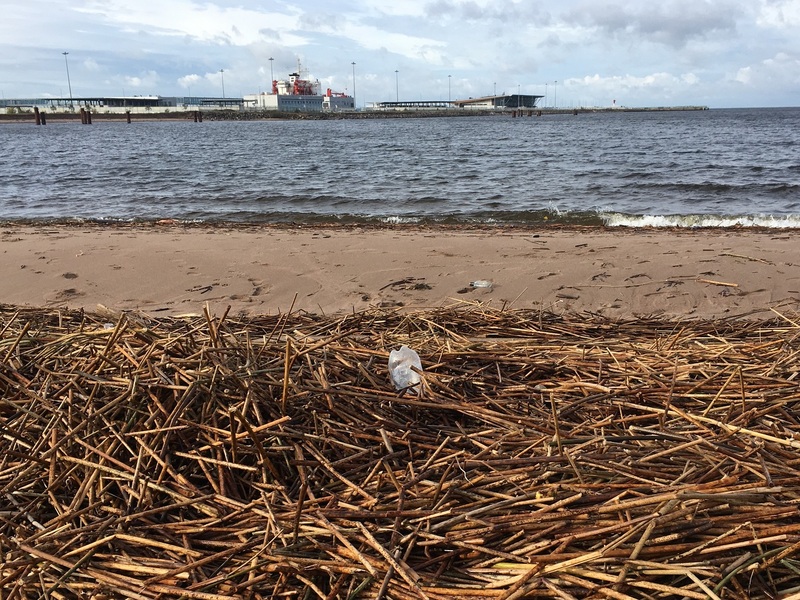 There is no scientific data on how much plastic originated from the city of Saint-Petersburg ends up in the Baltic sea. Taking into account the estimated number of 221 grams/year per capita provided by J.Boucher and D. Friot (IUCN,2017) we can assume that 1.484 tones of plastic ends up yearly in the waters from St. Petersburg. Plastic in the water behaves as a magnet, absorbs the chemicals dissolved into water and transfers it along the food chain. With the help of physical factors big plastic goods degrades to small particles – microplastic. The biggest problem of microplastic is that we can’t collect it from water. Fish, mammals and birds could take it as a food which can be fatal for them. Consumerism culture, growing population and plastic production are considered as a serious threat to the sea. As the world becomes more aware of the plastic problem we see lack of knowledge in Russia and beyond on the scale of plastic pollution, its sources and the harm it makes. On one hand we are capable to attract researchers to the issue, on the other – we can educate local people. With our activities we will set the right agenda to lessen the input of plastics to marine environment and inspire/push local municipalities to create legislative initiatives to tackle the problem. The goal of the project is to reduce the amount of plastic litter entering the Baltic Sea from land. Development of methods and tools for marine litter monitoring and monitoring activities. Awareness raising and involvement on marine litter problem among media and locals. 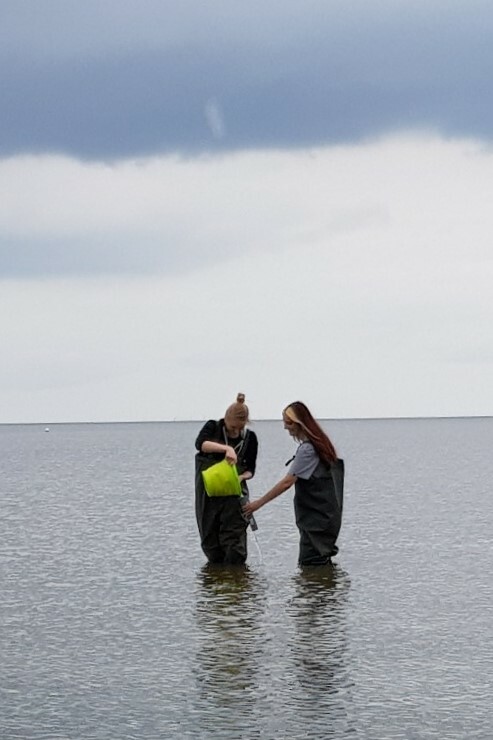 Methodic kit on methodologies for marine litter, microplastic public monitorings and sampling, trainings on the InfoKit and monitoring methods, public monitorings with participation of local activists. Spreading the information on the problem in the Internet, creating media attention. Two Info-centres with all the equipment for monitoring, open for public use, and exhibition with information materials constantly working for visitors, informational and demonstration materials for lessons and rising awareness activities. Educational activities with students, activists, teachers, libraries, locals with the demonstration materials. Regional seminar for key actors and stakeholders. An analytic report based on data collected and the recommendations and good cases based on monitoring activities. Final conference for all the key actors. Constantly working Info-centers, materials and resources open for wide public plus the Map with collected data which shows the picture of plastic pollution, and is still open to add the info. Project results will be a good base for a legislative ban on microplastics, some single-use plastic things as bags, so as municipal management plans and practice. Gulf of Finland – St.Petersburg and Leningrad oblast.